Relax at the full-service spa, where you can enjoy massages, body treatments, and facials. If you're looking for recreational opportunities, you'll find an indoor pool, a spa tub, and an outdoor tennis court. This hotel also features complimentary wireless Internet access, concierge services, and barbecue grills. Originally an independent town, Teddington is now part of Greater London and is close to the very affluent community of Richmond upon Thames. Despite its urban status, this area is particularly green and almost feels like an extended country village. Probably the main landmark here is St Alban's Church, a Grade II listed Gothic Revival building that is now the home of the Landmark Arts Centre charity. There is evidence to suggest that humans have inhabited the Teddington area since the Stone Age, although it wasn't until after the Roman Empire that an official settlement was recorded here. Like many local communities, the population of Teddington grew at an unprecedented scale after the opening of the railways in the Victorian era, which enabled many Londoners to build new homes further away from the West End. One of London's great Royal Parks, Bushy Park is noted for its charming Diana Fountain and the beautifully decorated Chestnut Avenue water attraction. The park, which is second largest Royal Park in the city, is also known for its significant deer population and its picturesque Waterhouse Woodland Gardens. Few houses in Britain can rival the architectural grandeur and regal flair of Hampton Court Palace, which is approximately 500 years old and was originally part of the Surrey town of East Molesey. The palace has not been a residence for royalty since the Georgian period, however, although it is now one of the most-visited tourist attractions in Britain, famed for its elaborate Tudor and Baroque features, and 60-acre landscaped grounds. London's largest Royal Park, Richmond Park is almost like a miniature wilderness, a place where you can feel almost totally secluded from the hustle and bustle of the capital. The park, which also contains many deer families, is a Grade I listed natural landmark and is overlooked by scenic Richmond Hill, where you can enjoy a wonderful view of the Thames and the adjacent meadows. If you're a big fan of wonderful Italian classics, you can't go wrong by dining at La Dolce Vita restaurant, the Al Borgo Ristorante, or Caffe Toscana, all of which are within easy reach of Teddington hotels. For some divine British, Mediterranean and Turkish-inspired food, choose the Diners Delight restaurant, try The Wharf Restaurant, Bar & Grill for other delecSEOSITE_LEVEL_DESCRIPTION European and contemporary dishes, or visit Bengal Brasserie for some vibrant Asian flavours. 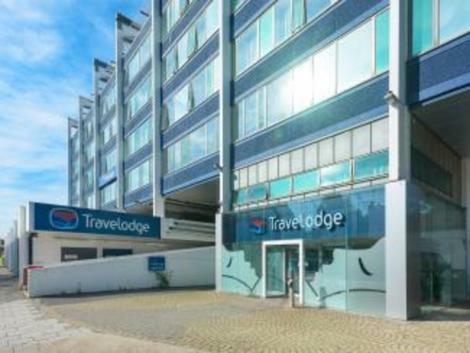 One of the most affordable places to stay in Teddington is the well-presented Travelodge London Teddington, while The Lensbury hotel is another very good choice for people looking for deluxe facilities and chic contemporary furnishings. Other highly rated accommodation establishments nearby include the Carlton Mitre Hotel in East Molesey, the White Hart Hotel in Kingston upon Thames, and the Premier Inn Twickenham East.